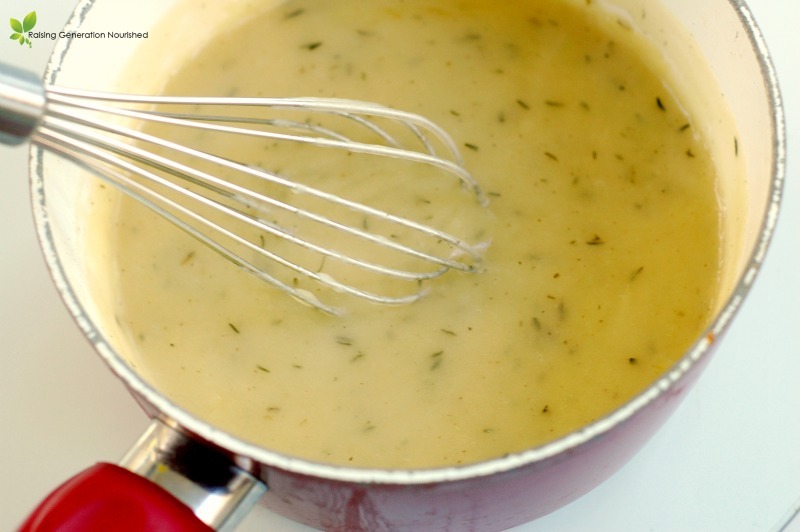 You are no more than 5 minutes away from a delicious, velvety gravy made with nourishing bone broth for everything from meatball night to that Thanksgiving turkey! This my friends is the icing on the cake….well, the gravy on the turkey (or chicken, or meatballs!). There is just something about the gravy that makes the meal feel complete! It doesn’t have to be rocket science either. Making gravy for meatball night on a busy weekday, or that big Thanksgiving day turkey won’t take you more than 5 minutes. 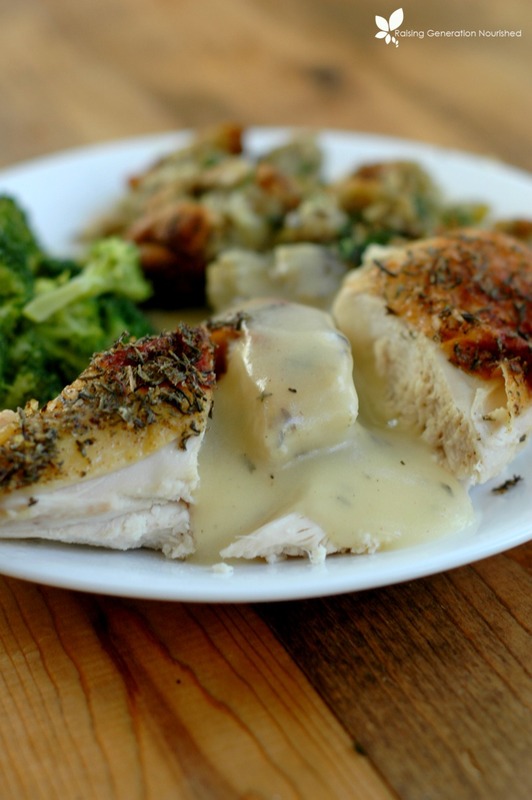 I like to make my gravy while my roasted chicken or turkey is resting right out of the oven. 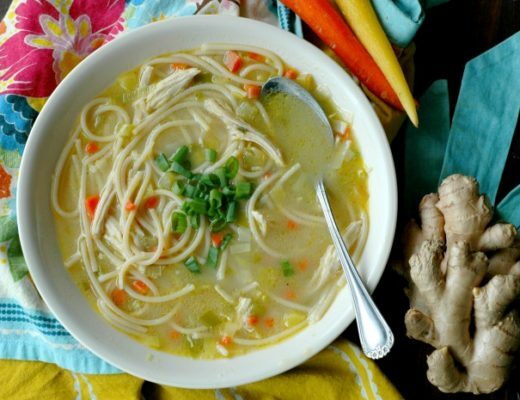 You can use bone broth from the freezer or the meat stock from the pan. The beauty of this recipe is that even if you wanting to make it for meatballs and gravy night, you don’t need pan drippings. 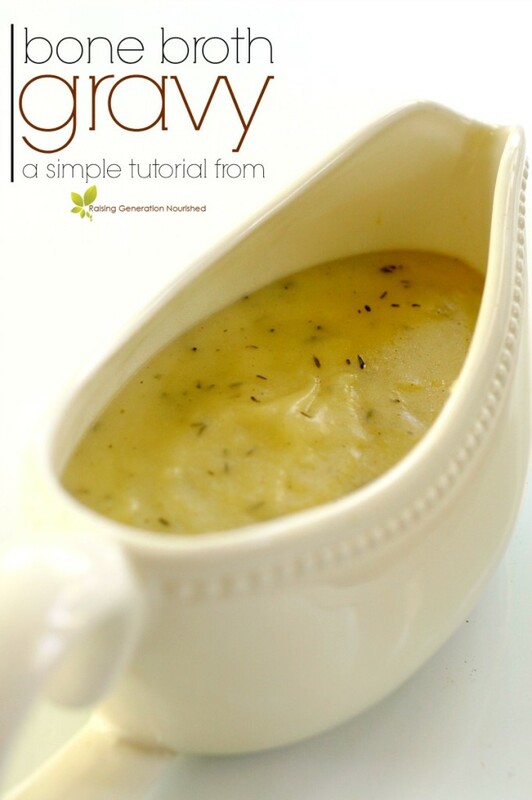 Any jar of bone broth in your freezer can become a sauce pan of gravy! And bonus! The gravy freezes very well so anything leftover won’t go to waste! 1 pint bone broth OR juices from the pan Called meat stock. You can use a combo of both if you wish. 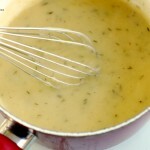 Melt the butter in a sauce pan, add the flour, and stir with a whisk to combine. Add the bone broth and thyme and bring to a simmer stirring with your whisk occasionally until it thickens. Season salt and pepper to taste and serve. This will refrigerate and reheat stovetop well (up to 4 days in advance), or you can freeze it for months. 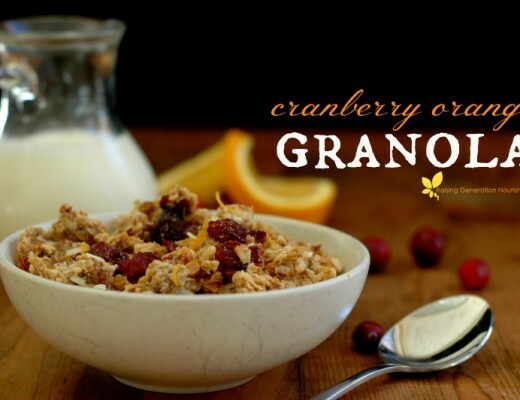 For more real food dinner ideas, you can check out my Dinner Ideas board on Pintrest! Homemade Condensed Cream of Chicken Soup for any Casserole! Yes, please! This looks ethereal! Sharing, pinning etc! This looks so yummy! We are huge bone broth gravy lovers in my home. Pinned. Hi Anya! Thank you for your kind words! I think he is probably soaking in more than you think 🙂 At least that is what I am hopeful for in my kids when I don’t know if they are listening! Thank you for commenting and following! It is a blessing to me as well! 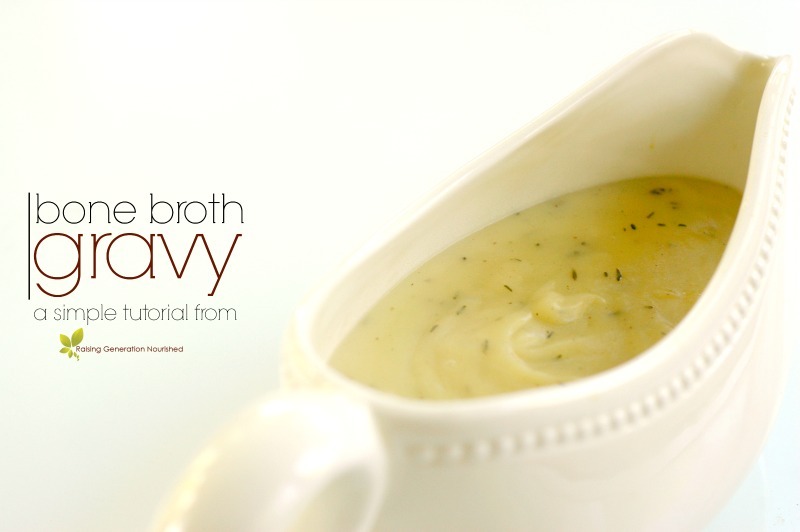 I bet this bone broth gravy has so much flavor! Looks delicious! I’m a Southern girl, so this is right up my alley! Love this so much! Pinned to multiple boards and shared! It’s juts too good not to! Would coconut oil or olive/avocado oil work in place of the butter? I know butter probably tastes fabulous, but wondering if it can be subbed. Hi Tara! I have not tried either but coconut oil will definitely change the flavor. If I couldn’t have butter I would use ghee – which takes the milk solids out, or just leave it out completely – which I have done before and it is still very good 🙂 I hope that helps! Yes, I’m curious too! I tried earth balance butter last year, and it did not work…. But my dad was saying he uses oils for other gravies and it works great. Hi Lauren! I would use ghee if you can’t have butter. Earth Balance is soy derived and is not a real food so I would imagine it doesn’t work very well! I would consider the ghee if you can’t have milk, or just simply leave out the butter which I have done before and it is still very delicious 🙂 I hope that helps! 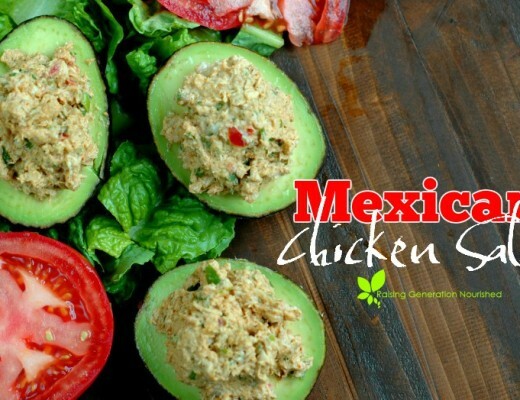 Thank you for the quick and delicious recipe! I was always intimidated by gravy and only ever make it on thanksgiving. Not anymore! My son said it was the best mashed potatoes and gravy he’s ever eaten. Thank you for making me look like a rock star at the dinner table tonight! I am following a Keto way of eating, would Almond or Coconut flour work the same as the White Rice/Tapioca flour? It looks amazing by the way. Hi Karen! I have tried grain free flours for broth and only tapioca and cassava work well – which will probably be to starchy if you are following Keto. The almond flour and coconut just don’t thicken it – it will be grainy.